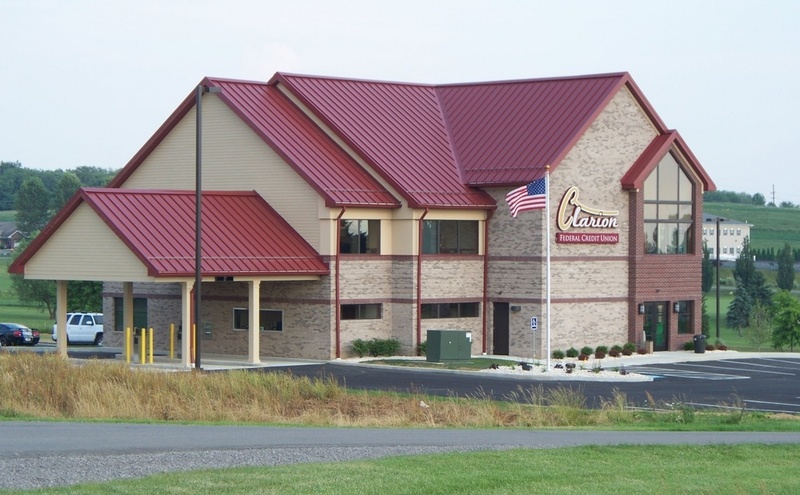 CLARION, Pa. (EYT) – Six people arrested following a multi-county drug investigation initiated by the November 2018 overdose death of a Clarion man are due in court on Tuesday. Aaron Ernest Johnson, 30, of Pittsburgh, Pa.
Johnson was arraigned at 3:30 a.m. on Wednesday, March 13, in front of Magisterial District Judge Amy Long Turk. Unable to post $250,000.00 monetary bail, he remains lodged in the Clarion County Jail. 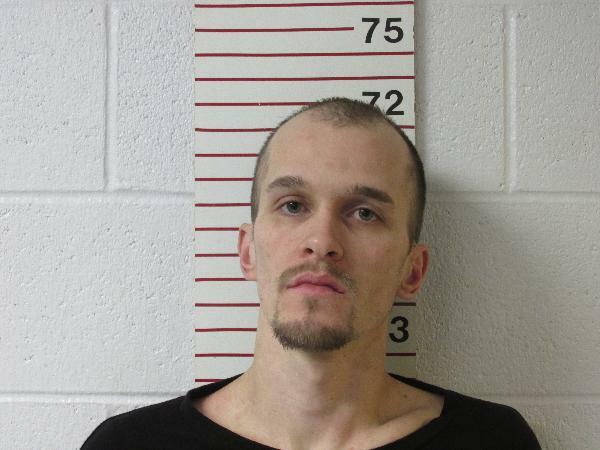 Joseph David Hoffman, 32, of St. Marys, Pa.
An active warrant has been issued for his arrest. Spencer Gene Rudolph, 23, of Shippenville, Pa.
Rudolph was arraigned at 11:10 a.m. on March 21, in front of Magisterial District Judge Duane L. Quinn. Unable to post $100,000.00, monetary bail, he remains lodged in the Clarion County Jail. William A. Fourness Jr., 30, of Weedville, Pa.
Fourness was arraigned at 1:15 p.m. on March 21, in front of Magisterial District Judge Duane L. Quinn. Eidinger was arraigned at 2:30 p.m. on Friday, March 15. Unable to post $100,000.00 monetary bail, she was lodged in the Clarion County Jail. A preliminary hearing is scheduled for March 26 at 2:30 p.m.
Ryan Ritchie Gleixner, 33, of St. Marys, Pa.
Gleixner was arraigned at 5:15 p.m. on March 18, in front of Magisterial District Judge Jeffrey C. Miller. He remains free on $50,000.00 unsecured bail. The charges are related to incidents that occurred from Thursday, November 15, 2018, to Friday, February 15, 2019, at the following locations: an apartment on 8th Avenue in Clarion and locations within Clarion, Elk, Jefferson, and Allegheny County. On November 20, 2018, the Clarion Borough Police Department was contacted to conduct a death investigation involving a 36-year-old, white, non-Hispanic male in his residence, according to a criminal complaint. Upon arrival to the scene, the male was found deceased in the shower of his East 8th Avenue residence. An autopsy was conducted by Eric Lee Vey, M.D. Forensic Pathologist of Erie, Pa. on November 21, 2018, revealing the victim died as a result of fentanyl toxicity. According to the complaint, the investigation led to a search warrant being conducted at Spencer Rudolph and Sadie Eisenman’s residence in Shippenville, Pa. on February 13, 2019. The search resulted in the seizure of controlled substances. During an interview with Rudolph, he detailed that he obtained heroin from William Fourness and Joseph Hoffman. Rudolph stated that he purchased heroin from Hoffman on a regular basis, and specifically on November 17, 2018, he met him at a convenience store in Brockway, Pa., and purchased a brick of heroin from him in exchange for approximately $300.00 in U.S. currency. Rudolph stated that shortly after the drug purchase from Hoffman, Hoffman was placed in the Elk County Jail on drug charges from another incident. Rudolph stated prior to Hoffman’s incarceration, he never met William Fourness. Rudolph said that he was contacted by Fourness via social media indicating that they had a mutual friend being Hoffman. He then began purchasing heroin directly from Fourness which was Hoffman’s heroin connection. Rudolph indicated that he made runs to Pittsburgh for Fourness and purchased heroin from an unknown black male and returned the drugs to Fourness. During the interview with Rudolph, he said that he sold five stamp bags to the 36-year-old Clarion man on Monday, November 19, 2018, in the bathroom at work for $75.00. He indicated they were the same packages that he purchased from Hoffman in the parking lot of the Brockway convenience store on November 17, 2018. Clarion Borough Chief of Police William H. Peck IV was able to confirm from the victim’s phone that Rudolph communicated with the victim by phone on Saturday, November 17, 2018, and on Monday, November 19, 2018. The complaint states that on February 15, 2019, Chief Peck, assuming the identity of a known individual, communicated with William Fourness via cell phone regarding the delivery of heroin. He was able to arrange a five brick heroin (250 stamp baggies) purchase from Fourness in exchange for $1,400.00. 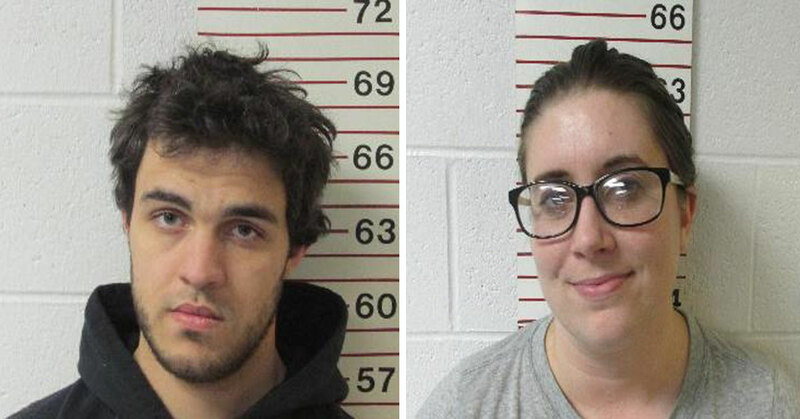 On February 15, 2019, William Fourness, Kasey Eidinger, and a known seven-year-old child arrived at the Country Fair Store in Shippenville, Pa. Fourness was taken into custody, and five bricks of heroin were seized in his vehicle. A search of his residence was conducted in Ridgway, Pa. The Pa. State Police seized two plastic bags containing approximately 7.5 grams of suspected raw heroin, 4.4 grams of suspected methamphetamine, 20 white stamp bags with red eagle stamp, 28 purple stamps with red eagle stamp, a digital scale, heroin-related packaging material, the red eagle actual stamp, and $3,000.00 in U.S. currency. On February 15, 2019, Fourness was interviewed at PSP Clarion. Fourness related he had been selling to Spencer Rudolph for a couple of months, a brick every week or two. He stated that when he was arrested, he was on his way to Pittsburgh and re-up in the morning. He also indicated that he sold heroin to Hoffman with the last purchase of a brick or two of heroin being in November 2018. Fourness stated that on the day he was arrested, Eidinger knew who they were going to meet and exchange money for drugs. According to the complaint, on February 19, 2019, Joseph Hoffman was interviewed. He admitted to his involvement in purchasing and selling controlled substances (heroin). He also admitted that he sold heroin to Spencer Rudolph on a regular basis, and the last time he sold heroin to him was on Saturday, November 17, 2018, in a convenience store parking lot in Brockway. Hoffman related that Rudolph was in a dark-colored Dodge truck that day. Hoffman stated that Spencer Rudolph purchased a brick of purported heroin from him for $300.00. Hoffman indicated that he purchased his heroin from William Fourness. On November 17, 2018, Hoffman went to William Fourness’ residence and picked up the brick of heroin from him. Fourness “fronted” him the brick of purported heroin on November 17, 2018, and he took that brick to a Brockway convenience store and sold it to Spencer Rudolph. After selling the purported heroin to Rudolph, he returned to William Fourness’ residence and gave him the $300.00 that Rudolph paid for the drugs. For making the deal with Rudolph, Fourness gave him some bags of heroin. Hoffman stated that the last trip he made to Pittsburgh for Fourness was a day or two before meeting Rudolph at the Brockway convenience store. He indicated that the drugs were white, and he suspected the drugs were fentanyl and not heroin. He stated that was the only trip he made in which he suspected the drugs were fentanyl and not heroin. Hoffman explained that he had been purchasing heroin from Fourness for the past three months before going to jail in November of 2018. He indicated that he also made trips to Pittsburgh to pick up heroin from a person known as “Smooth” a black male. Hoffman stated that Fourness gave him the money, and he never counted it, but he assumed it was approximately $1,500.00. He said he would get the drugs from the black male in Monroeville at a convenience store and then return directly to Fourness’ residence and give the drugs to him. On February 19, 2019, William Fourness was re-interviewed. He confirmed that during the period from approximately August of 2018 thru February of 2019 that – Joseph Hoffman, Spencer Rudolph, and Ryan Gleixner – would, under his direction, make trips to Pittsburgh to meet the black male known as “Smooth” (Aaron Johnson) to acquire heroin for him. Fourness stated that he would directly contact Johnson on the day of the transactions for heroin. He indicated that whoever he sent to pick up the heroin from Johnson had no direct contact with Johnson. Fourness provided the “runner” with $2,000.00 to $3,000.00 in U.S. currency to give Johnson in return for the heroin, and the heroin was $140.00 per brick. Fourness said that on a couple of occasions, he did wire “Smooth” U.S. currency via Western Union, and he sent the money under the name of Aaron Johnson, and the last Western Union transaction to Johnson was in the amount of $4,000.00. During the interview, Fourness was asked if he knew the difference between heroin and fentanyl. Fourness said that he personally did not know the difference. On February 20, 2019, Chief Peck contacted Probation Officer Omar Smith, of Allegheny County Adult Probation Office. Smith confirmed that Aaron Johnson is currently on Allegheny County Probation. Smith provided a phone number for Aaron Johnson. On February 21, a search warrant of Kasey Eidinger cell phone yielded several contacts between Eidinger and Johnson to include a text message on February 15, 2019, that discussed amounts and pricing of controlled substances. Also located on the search of Eidinger’s phone is an image of Eidinger with an individual believed to be Aaron Johnson, based on Johnson’s JNET photograph. On November 11, 2018, PA State Police Troop C Vice Unit conducted a controlled drug purchase from William Fourness, a brick of heroin (50 stamp bags) for $350.00 in U.S. currency. Troop C Vice made the purchase using a confidential informant. The controlled purchase took place at a convenience store in St. Marys. At 11:26 a.m., William Fourness arrived driving a Nissan Pathfinder with Kasey Eidinger in the front passenger’s seat. Fourness exited the Pathfinder and entered the C.I.’s vehicle. Fourness handed the brick to the informant, and the informant provided Fourness with $350.00 in U.S. currency. This exchange between Fourness and the confidential informant was in direct view of a Troop C Vice undercover trooper. The statement referenced above by Fourness about “be careful this (@#! *) been putting people in the hospital” was the same day the Clarion Borough Police found the victim in this case deceased at his residence in Clarion Borough. A result of these search warrants yielded in the discovery of numerous text messages, facebook messages, and other cellular communications showing that Hoffman, Rudolph, and Gleixner were involved in a conspiracy with William Fourness and Kasey Eidinger to purchase and deliver controlled substances namely heroin/fentanyl from Aaron Johnson. Court orders for the cellular providers of aforementioned parties cellular devices confirmed these communications. This information corroborates statements provided by Rudolph, Hoffman, and Fourness. 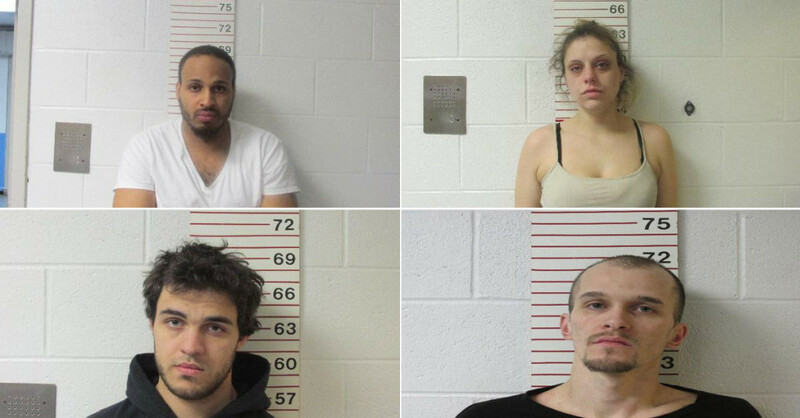 William Fourness and Kasey Eidinger would send “runners” Joseph Hoffman, Spencer Rudolph, and Ryan Gleixner to Allegheny County to purchase large amounts of heroin/fentanyl from the supplier (Aaron Johnson). 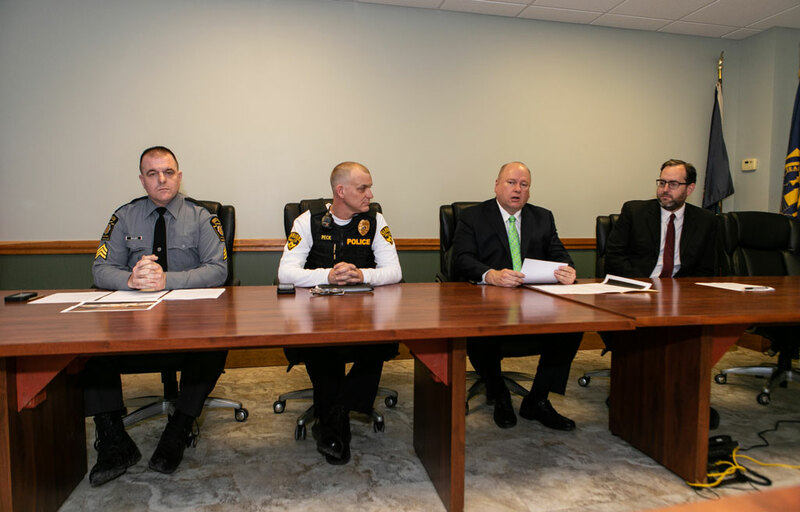 These controlled substances were then transported back to Elk County to Fourness and Eidinger where they then distributed the controlled substances throughout Elk, Jefferson, and Clarion Counties. U.S. currency was sent with “runners” or by alternate means from Fourness to the supplier. Court documents indicate Fourness and Rudolph are both also scheduled to stand for hearings at 10:15 a.m. on Tuesday, April 9, on charges from additional cases.